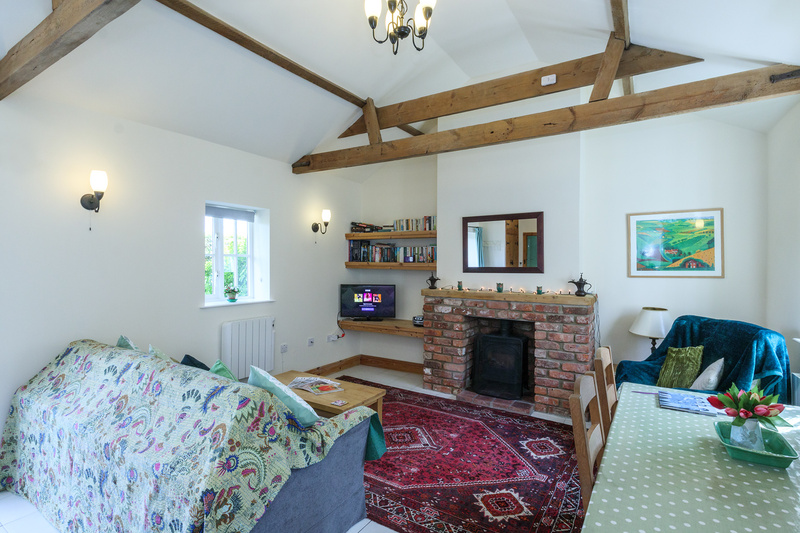 A single story luxury barn conversion with easy access for all guests including wheelchair access. 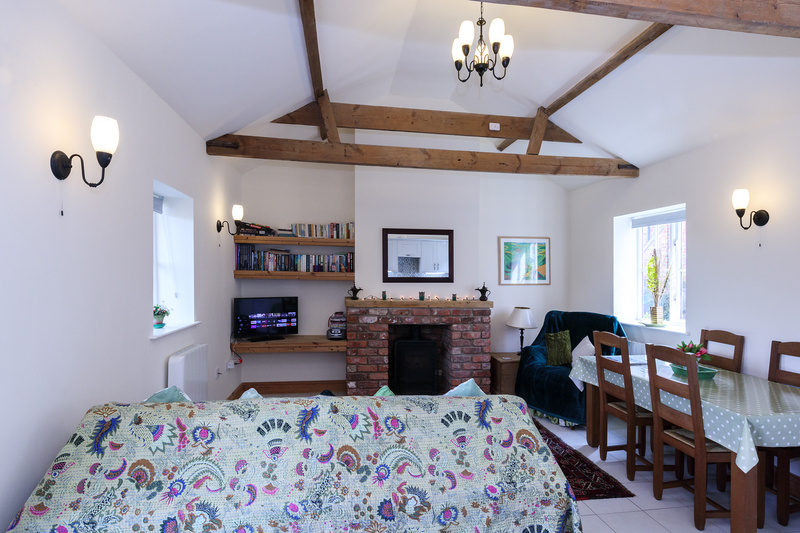 The cottage can cater for 2 to 4 people in comfort. 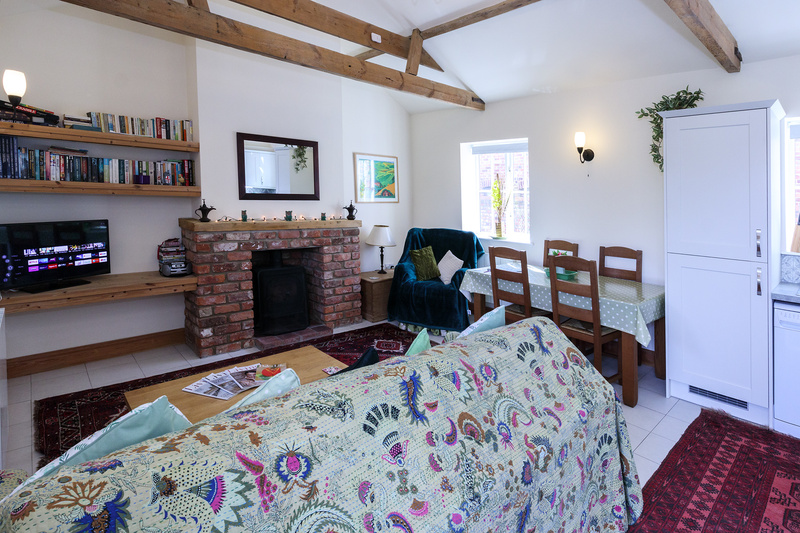 The cottage has a double bedroom (which can be a king or two single beds), with a large double sofa bed in the living room. 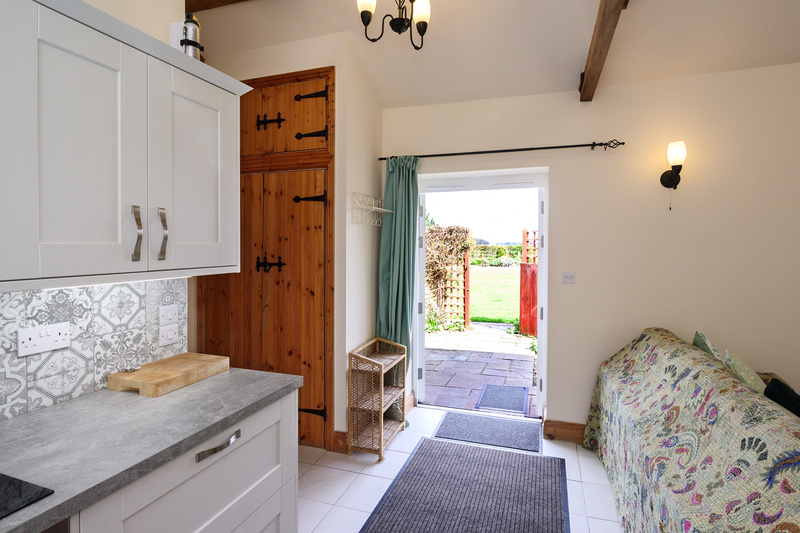 This cottage is equipped with a bathroom and shower with under floor heating. 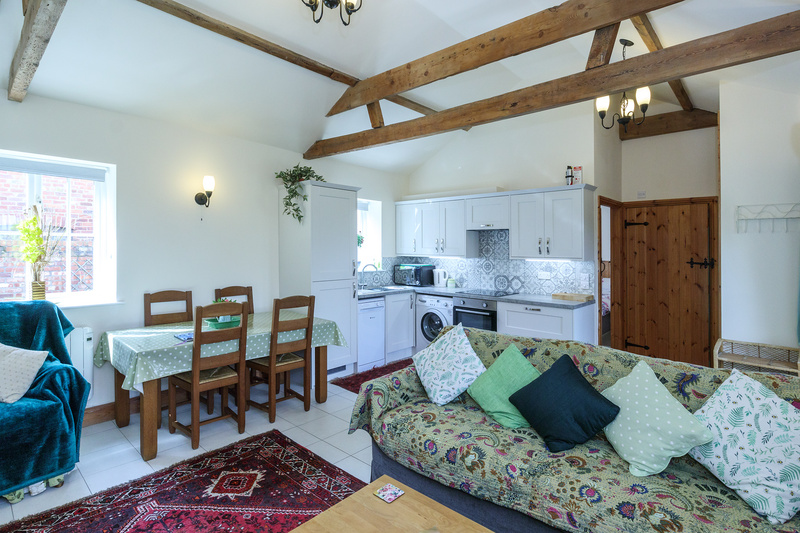 The accommodation has an open plan kitchen-living-diner with original beams and log burning stove. The cottage is equipped with an electric hob oven (defroster) microwave, tall fridge freezer, dishwasher, automatic washer/tumble drier, Iron, Ironing board, colour LCD TV, radio, toaster, kettle, hair dryer.The cottage is also equipped with a secured Wi-Fi access point with fast internet connection supplied by 'Quickline Wireless Broadband'. Also included a good collection of books, games (chess, cards, puzzles), tourist information leaflets. 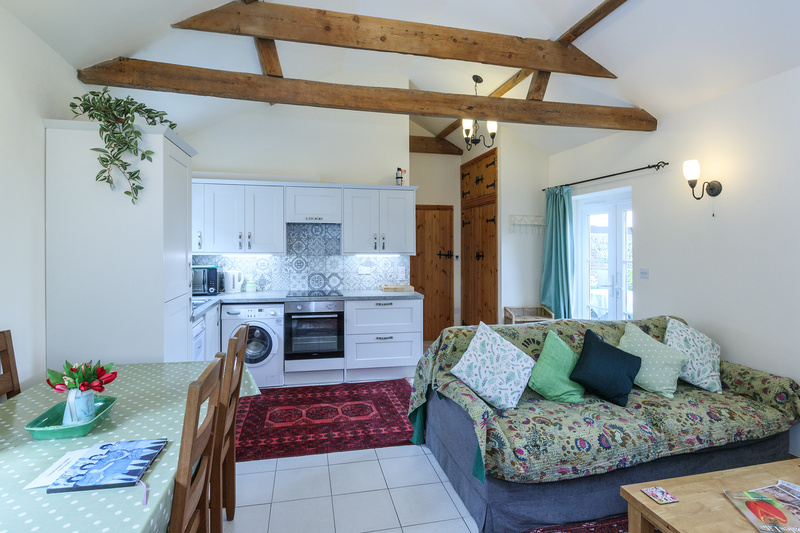 Curlew cottage has its own enclosed patio-garden with easy access to a larger garden surrounding the property which is safe for children and pets. Views from the cottage looks east across open farmland towards the Yorkshire Wolds. 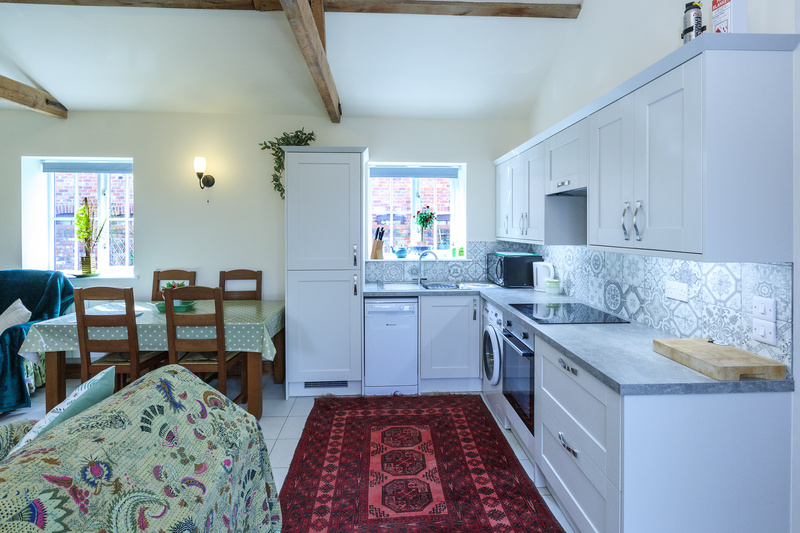 The cottage is situated in open country and is off the beaten track with excellent road links, close to all the attractions in and around York and only a short car drive to the beautiful Yorkshire Wolds, Yorkshire Moors and Yorkshire Coast. Other nearby attractions being Harrogate, RHS - Harlow Carr Gardens, Castle Howard, Beningbrough Hall, Harewood House, Historic Abbeys, and not forgetting the York National Railway Museum. Have a look at some of the local attractions listed on our site.